Fig. 20. 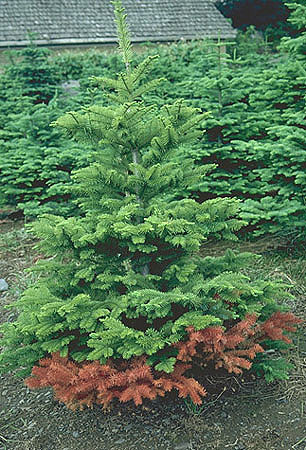 Noble fir branch flagging due to Phytophthora infection.